A quick and easy DIY touch to make your gifting days merry and bright is custom Christmas gift labels. Customized gift labels add an economical and thoughtful accent to that oh-so-perfect gift. Templates take the guesswork out of your gift labels so you can focus on more important things like stirring the eggnog. 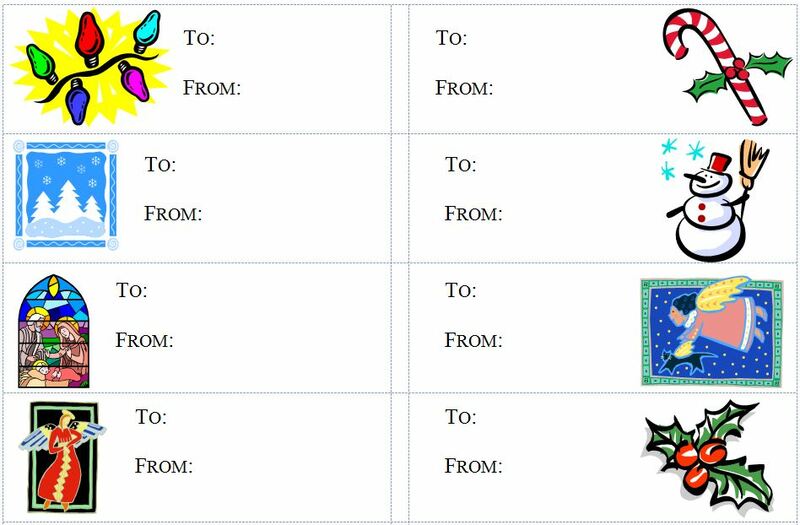 Download the Christmas gift labels template from Microsoft for free today! First, click to download the Avery template style, file and select a location on your computer to save it to. Second, open the template with Microsoft Word or other word processing program. Third, click on the template fields to edit the fields, change the font style or size, or edit the images or other elements of the design. Fourth, load your printer with a sheet, in the style of the Avery labels, in one of the listed dimensions. Fifth, print the Christmas gift labels and get wrapping! First, be careful to keep your text and design within the margins; text outside the page margins will not print. Second, do not modify the label dimensions on-screen or your text may not print on the proper label on the sheet. Third, be sure to use one of the label formats called for in the template or your design may not match up with the labels or your design may be split across several labels. Fourth, as with any other word processing project, save your work so that you can reprint your labels if necessary.